As we prepare for the Assembly Environment Committee's consideration of its companion resolution to Senate Concurrent Resolution #180 (SCE #180) -- (hearing coming soon), we would like you to watch this video prepared on behalf of the New Jersey Highlands Coalition by our Policy Director, Elliott Ruga. Please share this among your networks! SCR #180 determines that DEP's proposal to revise Flood Hazard Area Control Act Rules, Coastal Zone Management Rules, and Stormwater Management Rules, is inconsistent with legislative intent. It passed out of the Senate Environment Committee at this meeting and was approved by the Senate the same day. Now, if it similarly is approved by the Assembly, DEP will have to withdraw these proposed rules. Please share with anyone you think might be interested. Also, ask them to call their Assemblyman/woman and support passage of the Concurrent Resolution or forward the link to the video to their legislator. 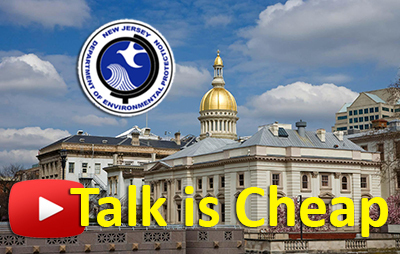 They can find their legislator and contact information here: http://www.njleg.state.nj.us/members/legsearch.asp.